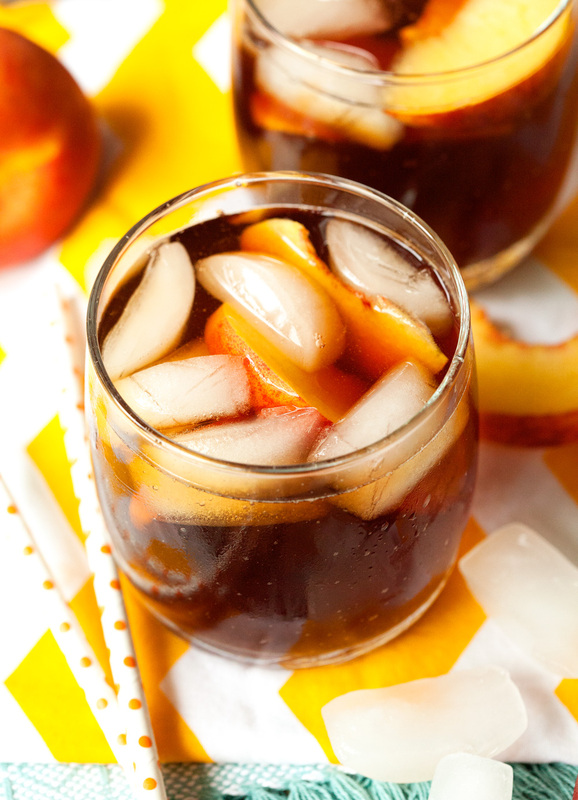 And in order to incorporate even more peaches into my life, I decided to add a peachy twist to my much loved sweet tea recipe. 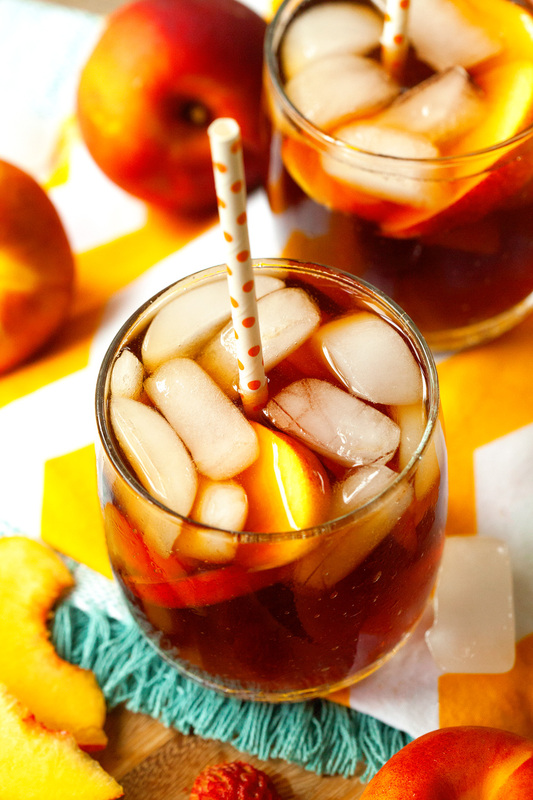 It’s not like peach iced tea is a new concept or anything, but it sure took me a while to realize that I could make my very own, using fresh peaches and preparing the tea just the way I like it. Needless to say, it couldn’t have turned out any better. I could seriously drink this all day every day. Besides brewing and steeping your tea, you’ll be making a simple syrup. Sugar, water and sliced peaches. You bring all three to a boil and let the mixture sit while your tea cools. 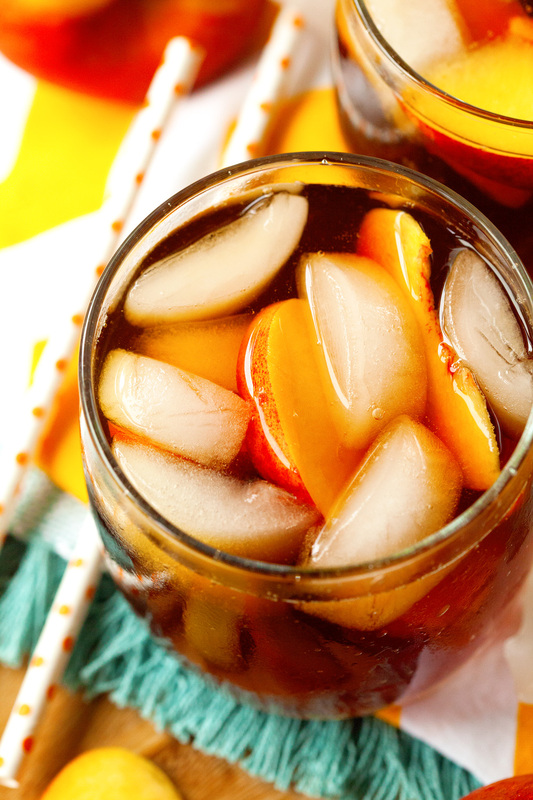 Mix the two together and you have perfect Peach Iced Tea. You’ll never look at the store-bought kind again. I promise. Hope you give this thirst quencher a go. Summer doesn’t get much better than this! 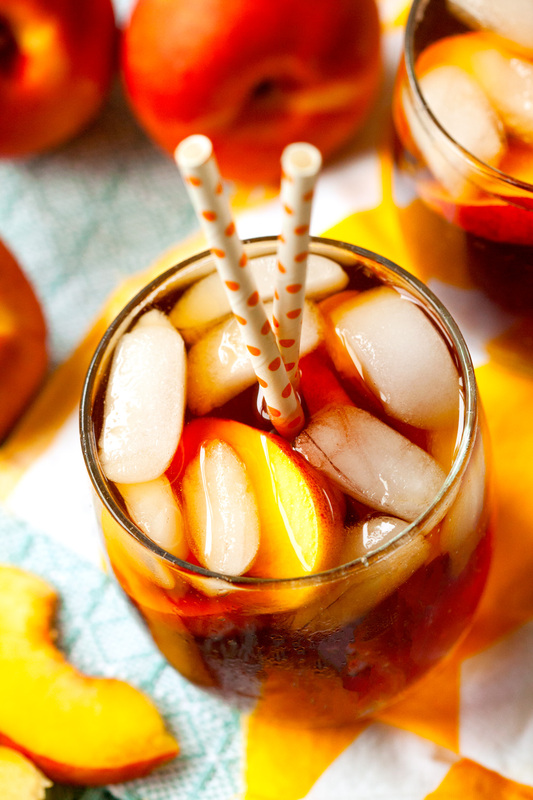 Peach Iced Tea is the most refreshing summer drink. Made with fresh peaches and served over ice. Mmmmm! 2. Meanwhile, add sugar, 1 cup water and sliced peaches into a small saucepan. Gently stir to combine. Bring mixture to a boil, remove from the stove, cover with the lid and let stand for 30 minutes. Add steeped tea to a 2 quart pitcher and add remaining water (leaving enough room for the peach syrup). Place in the fridge. Once 30 minutes have elapsed, remove peach slices from the syrup and pour syrup into the pitcher. Stir to combine. Return to the fridge for another 30 minutes to cool completely. 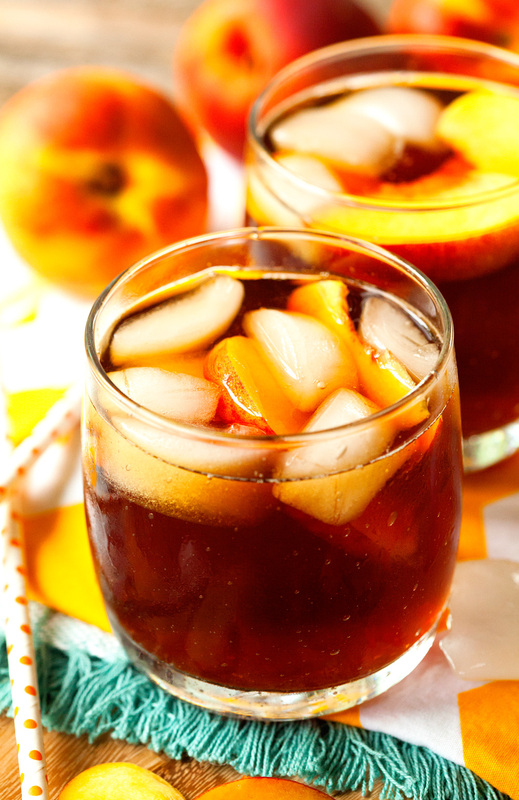 Serve over ice and garnish with more peach slices. Enjoy! What a lovely treat. 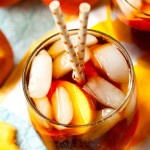 I too like fruity iced tea in summer, and peach is one of my favorites. Hi, its pleasant piece of writing about media print, we all understand medeia is a fantastic source of facts.